Charles James Roberts was born on 29 March 1846 at Paddington, Sydney, the eldest son of publican Charles Warman Roberts and his wife Annie, née Marsden. On 9 April 1867 at St James Church he married Lucretia Abraham (d.1922), the daughter of a well-known chemist. He died on 14 August 1925 at Elizabeth Bay, survived by his only son and five daughters, and was buried in the Anglican section of the South Head Cemetery. Charles Roberts was educated at St James’ Grammar School and Sydney Grammar School. 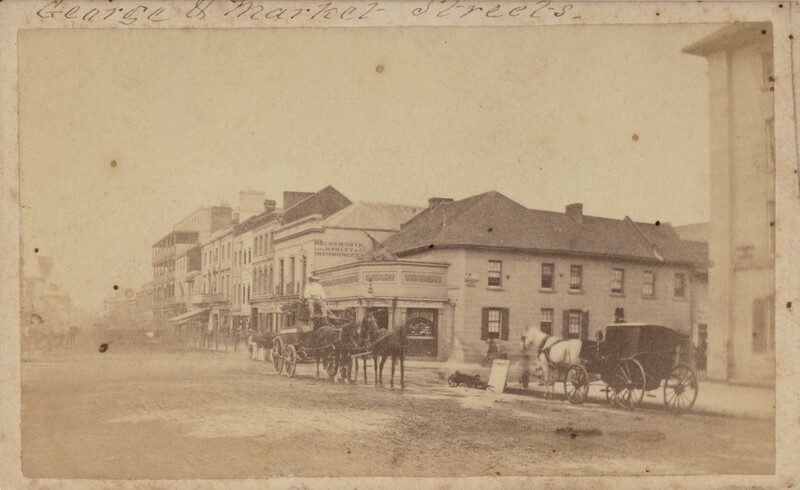 He became a licensed victualler and in 1867 purchased the Crown and Anchor hotel, on the corner of George and Market streets, formerly held by his father and grandfather. He developed a wholesale wine and spirits business. In 1888, he demolished the Crown and Anchor and built the five-storied Roberts Hotel on the site, which was sold in 1919 to Farmer & Co. He then acquired Smart’s Hotel on the corner of Pitt and Market streets and re-named it the Roberts Hotel. Charles Roberts and his wife entertained in style at Chatsworth, their residence at Wylde Street, Potts Point. Roberts substantially enlarged the house, originally built as Tor Cottage, and added a ballroom. Chatsworth was demolished in 1921. Roberts was the Director of the Colonial Mutual Life Assurance Co. from 1889 to 1925 and Chairman from 1909. Other posts he held were Vice-President of the Sydney International Exhibition 1879, Commissioner for the Amsterdam Exhibition, 1883, the Calcutta Exhibition, 1883-84, the Colonial and Indian Exhibition in London in 1886 and the Centennial International Exhibition in Melbourne in 1888. He was also appointed Commissioner for the International Exhibition of Mining and Metallurgy in London in 1890 and for the World Columbian Exposition held in Chicago in 1893. He was Director of the Sydney Infirmary & Dispensary between 1879 and 1886 and a committee member of the Industrial Blind Institution and the City Night Refuge and Soup Kitchen. He was a prominent bowler who enjoyed sailing and rowing and was a member of the Australian Jockey Club. He was an Orangeman. Roberts was elected a member of the Legislative Assembly for Hastings and Manning from 12 December 1882 to 13 March 1890 when he resigned to visit England. He was appointed for life to the Legislative Council in his absence on 29 April 1890. He was the Postmaster-General between 1887 and 1889 and chaired the Intercolonial Postal Conference held in Sydney in 1887. He was created Commander of the Order of St Michael and St George (CMG) in 1882. 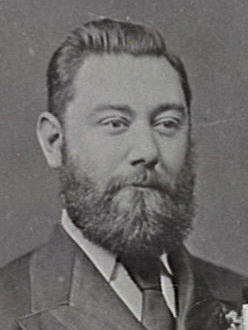 Roberts was elected Alderman for Macquarie Ward, 1 December 1877 to 30 November 1880. He was Mayor in 1879, overseeing a bankrupt council and entertaining lavishly. He became a Justice of the Peace in 1878 and a Metropolitan Transit Commissioner. Martha Rutledge, ‘Roberts, Charles James (1846–1925)’, Australian Dictionary of Biography, National Centre of Biography, Australian National University, http://adb.anu.edu.au/biography/roberts-charles-james-4487/text7331, accessed 5 December 2012.